Our staff at Access Storage Now understands the variety of storing needs that the good people of Indiana often have. Whether you are looking for extra space to store inventory for your business or you are preparing to move, Access Storage Now is happy to offer storage resources to help your self-storage experience go as smoothly as possible. Need answers to our most common questions? Check out our FAQ page! Unsure of what size storage unit is right for you? 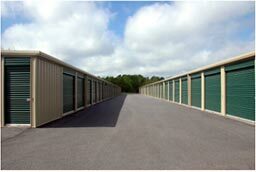 Check out our self-storage unit size guide! Access Storage Now has the answers to all your storing questions and concerns. Find the perfect storage unit size for your needs here. Find answers to our most frequently asked questions today. Save money on self-storage with special offers from Access Storage Now! Catch up on the latest Access Storage Now news. Get up to date with your Access Storage Now account. Check out the various payment options accepted at Access Storage Now facilities. Make moving a breeze with tips and guidance from the Access Storage Now experts! Use these self storage tips to get the most out of your storage unit! Read must-know information about what to store and what cannot be stored in a storage unit at Access Storage Now. Learn why Access Storage Now is Southern Indiana’s premier storage facility.